For anyone living in this century, it is evident that one of the contemporary issues facing the world today is that of religious diversity. From the perspective of a Christian, the question of the role of other religions is especially acute given the ultimate claims to truth and salvation that Jesus Christ has made. However, this phenomenon of multiple religious traditions is not a new one. The books of the Old Testament were written during times when peoples of other faiths surrounded the nation of Israel. The same holds true for the New Testament when Greco-Roman religions proliferated alongside the newly established religion of Christianity. In some ways, this necessity to learn how to understand other religions is not unique to the Christian faith. Every major world religion in its history has had to grapple with the existence of the “others” ever since they become conscious of the existence of one another. Each tradition has had to learn to navigate its way through its social, historical and religious contexts. The contemporary theologian of religions, Harold Netland, has pointed out that it is increasingly important for Christians in the twenty-first century to respond to the changing religious landscape. He asserts it is possible for Christians to be firmly committed to Christ as Lord and be responsible citizens in their own countries. At the same time, he calls for new ways for Christians to respond to the other faiths rather than merely repeating the practices of the past. As different religions attempt to co-exist, co-operate or even compete with one another for converts, it is crucial that a shared framework or language be found to avoid misunderstandings. This is especially so given there is always some level of incommensurability to religions. Words such as “God” and “salvation” can mean very different things to a Christian or a Buddhist. These constitute the starting points for what is commonly known in the field of theology of religions as the traditional three-fold typology of exclusivist, inclusivist, and pluralist positions respectively. McKim also argues that this schema is suitable not only for theistic faiths but non-theistic ones too. If that is so, then by utilizing a common vocabulary of terms and conceptual structure, this may allow the various traditions to participate in a form of dialogue that promotes understanding of the other. While it may not wholly nullify the difficulties to attempt to read another using only its categories, it could represent an initial step towards reducing isolationism and enhancing greater concordance. The typology proposed above may be used with respect to issues of truth and salvation. It may also be employed concerning other matters, such as the ethical guidance provided in each religion. While some Christian scholars have argued that the tri-fold typology which was initially proposed by Alan Race and Gavin D’Costa is skewed towards pluralism, subsequent analysis by others have shown it is, in fact, a relatively neutral logical construct that each respective position could claim to be biased in or against its stance. Also, despite these objections, since its first proposal in the 1960s, the tri-polar schema has continued to play a significant role within Christian theology for scholars to clarify their assertions. In addition, while many other competing proposals have been put forth, none seems to be capable of replacing the traditional proposition, as seen in the recent numerous scholarly articles that continue to argue based on, either explicitly or implicitly, its underlying logical structure. It is possible that this analytical framework could be one of the tools that the Christian tradition may offer to the broader world of inter-religious understanding, given that it was developed within itself and undergone robust discussion. As an Adjunct Lecturer at the NTU S. Rajaratnam School of International Studies (RSIS) for a post-graduate course entitled “Christianity and Religious Diversity,” I have found it serves as a common platform for students from various religious backgrounds to discuss features of their faiths vis-à-vis another as part of the M.Sc program. 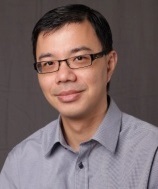 Dr Tan Loe Joo is lecturer in systematic theology at Trinity Theological College. This entry was posted in Feature and tagged coexist, diversity, Doctrine, pluralism, theology, tradition on July 2, 2018 by Florence Kang. It is increasingly common to hear or read words such as “exclusivism”, “inclusivism”, and “pluralism” in public discourse whether it is used by academics, activists or politicians. It is assumed that everyone is on the same page; thus the terms are insufficiently, if not rarely defined. This is not helpful, and in fact problematic for Christians whose traditions and thinkers have been using such words, with well-defined understanding. In his book Christianity at the Religious Roundtable, missiologist Timothy Tennent discusses the above terms, setting out the general Christian understanding of the words. Exclusivism is a position taken by conservative and evangelical Christians that stands on three non-negotiables: the absolute and unique authority of Jesus, His life, death and resurrection as the decisive hinge of history, and the necessity for repentance and faith in Jesus for salvation. This position is represented by Henrik Kraemer (The Christian Message in a Non-Christian World, 1938) and, more recently, Ronald Nash (Is Jesus the Only Savior? 1994), among many others. This is also the position that many Protestant churches in Singapore have taken. Inclusivism, as a theological perspective, accepts the first two of the three non-negotiables of exclusivism, but not the third. This position has led to the idea of “anonymous Christians” (Karl Rahner), people who belong to other faiths but nevertheless experience salvation in Christ even though they may not know Christ or the Bible, or join the Christian faith. Pluralism rejects all three non-negotiables of exclusivism. A well-known proponent of this view is John Hick (An Interpretation of Religion, 1989), who argues that all religions provide means of salvation and that Christianity is just one of many viable faiths, and not necessarily the most advanced of them. It is in the light of this background that Christians have difficulties uncritically accepting public statements made by thought leaders in non-Christian, and especially secular, spaces. The politically correct way of thinking is that exclusivism is bad, inclusivism is good, and pluralism is what we should embrace for a peaceful and harmonious society. But many questions have to be asked to seek clarifications and for all to try to be on the same page so that we can really engage in dialogue and arrive at mutual understanding. Take, for instance, the term “religious harmony”. I was once asked by a journalist what I thought about it, and I had to ask the journalist how she would define the term. She was at a loss. I then explained that if “religious harmony” meant a harmony of religions, then I did not think the churches would be in favour of that. However, if the term meant harmonious relationships between people of different faiths seeking to live in peace and mutual understanding, then the churches support it because that is also what the Bible teaches. There are two kinds of exclusivism; theological and social. This is where confusion and misunderstanding can arise. There is a tendency to confuse both aspects in one single idea, as if to say that those who stand for theological exclusivism (as per exclusivism as defined above) are also for social exclusivism. This cannot be further from the truth. This year is the 500th anniversary of the Reformation; Protestant Christians commemorate the clear doctrinal exclusivity expressed in the Reformation mottoes: Christ alone, Scripture alone, grace alone, faith alone. This is based on scriptural teachings on the uniqueness of Christ, His life, and the salvation found in Him alone (Jn 14:6; Acts 4:12; 1 Tim 2:5; Rev 17:14). But Scripture also teaches social inclusivity. Jesus taught that we should love our neighbours as we love ourselves (Mt 22:39; Lk 10:25-37). We are to live peaceably with all (Rom 12:18), and help and serve the poor and needy in society (Mt 25:35-36; Jam 1:27). Theological exclusivism does not mean social isolationism but stands together with social outreach and compassionate and missional involvement in society. So, are Christians exclusivists or inclusivists? Such a question does not recognise the nuances of Christian thought and practice. In reality Christians are theologically exclusive and socially inclusive. To not recognise this is to collapse the ideas to suggest that social inclusivism is the same as theological inclusivism (as defined earlier), and that theological exclusivism is the same as social exclusivism. This will hinder any attempt at actual dialogue and understanding. This also brings us to the question of whether our society is best defined as pluralistic, as some have argued. The problem is that pluralism, as many Christian thinkers in our midst understand it, is a philosophy. That we live in a diverse society is an observable fact, but to say that we are a pluralistic society is to impose a certain philosophy or underlying perspective. One is a sociological observation, the other is a religious statement. There is a difference, as theologian Lesslie Newbigin has shown, between plurality and pluralism. When people of different faiths (including secularists and those who do not profess any faith) engage in discussions, and there is social discourse, our different ideas about words, phrases and terms can become a hindrance to true communication and understanding if they are not sufficiently defined. We may not all agree on the definitions but we must at least understand and appreciate what is meant by words that may have different meanings for different people. It is not like the language of mathematics, which in most cases transcends culture and society. Russian, Chinese, Italian and Indonesian mathematicians all understand one another when they discuss mathematics (not necessarily other things) because they use a well-defined mathematical vocabulary. But in general social discourse, our lips may say the same words, but our minds may have different ideas. We may use the same vocabulary (in a superficially understood way), but we may be talking from different universes. We may not agree on a single vocabulary accepted by all, but we must define and explain what we mean when we use certain words, to reduce misunderstanding and confusion and to promote real engagement. 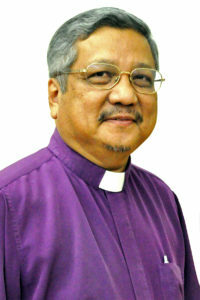 Bishop Emeritus Robert Solomon served as Bishop of The Methodist Church in Singapore from 2000-2012. 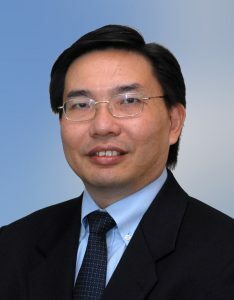 He had served previously as a medical doctor, church pastor, principal of Trinity Theological College and president of the National Council of Churches of Singapore. He now has an active itinerant ministry of preaching and teaching in Singapore and abroad. This entry was posted in Feature and tagged exclusivism, faith, inclusivism, pluralism, repentance, salvation on November 6, 2017 by Florence Kang.